In September and October 2009, 18 drifting balloons will be released to acquire measurements in the stratosphere. Twelve of them will release 600 parachuted dropsondes to establish vertical profiles of the troposphere. The international Concordiasi* programme, which follows on from the 2005 Strateole-Vorcore campaign, comprises a meteorology and a stratosphere part and is contributing to International Polar Year (IPY). The U.S. McMurdo research base in Antarctica. Credits: Wikimedia Commons. 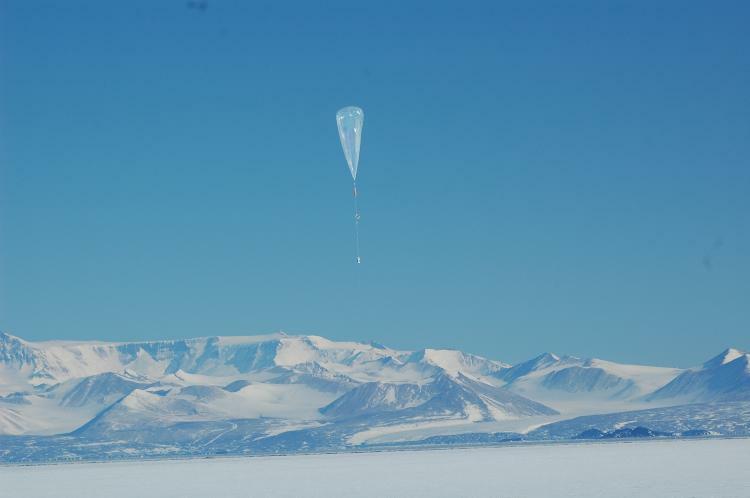 In September and October 2009, 18 stratospheric balloons will be released from the U.S. McMurdo research base to drift over the Antarctic at an altitude of 20 km for several months. Dropsonde. Credits: Staff Sgt. Randy Redman. The meteorology part of the experiment aims to learn more about the Antarctic climate, particularly snowfall, and to improve the predictions of weather models in this region of the globe where weather stations are few and far between. To this end, 12 balloons will be commanded to release 600 dropsondes. “During their descent, the dropsondes will continuously measure temperature, humidity and wind to obtain a series of very precise vertical profiles,” explains Didier Renaut, in charge of weather and climate programmes at CNES. Release of a stratospheric superpressure balloon during the Vorcore campaign from McMurdo. Credits: CNES/P. Cocquerez. Some dropsonde releases will be timed to coincide with passes of the European MetOp-A satellite, which is carrying CNES's IASI infrared spectrometer. The aim of this manoeuvre is to vertically compare measurements from dropsondes, IASI and profiles generated by the weather prediction model. “Assimilating IASI measurements into Antarctic models is a big challenge, since the infrared signals are very weak, the emission properties of ice are poorly understood and it's hard to detect clouds,”, explains Didier Renaut. Ozone hole at the South Pole (in blue). Credits: Ciel & Espace. The second part of the experiment aims tounderstand the dynamics driving the formation of the ozone hole every spring in the Southern Hemisphere. 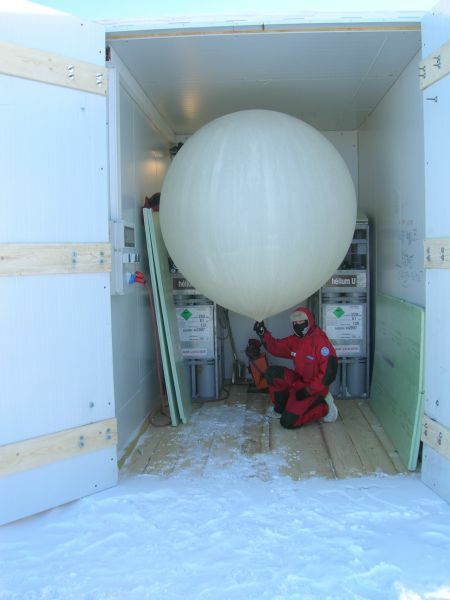 Preparing to release an ozone radiosonde from the Concordia research base for the Concordiasi programme. Credits: DC4 - IPEV. The culprit is the Antarctic Polar Vortex, a giant vortex in the stratosphere where ice clouds activate chemical reactions that deplete the ozone layer. CNES is the world's leading drifting balloon specialist.. 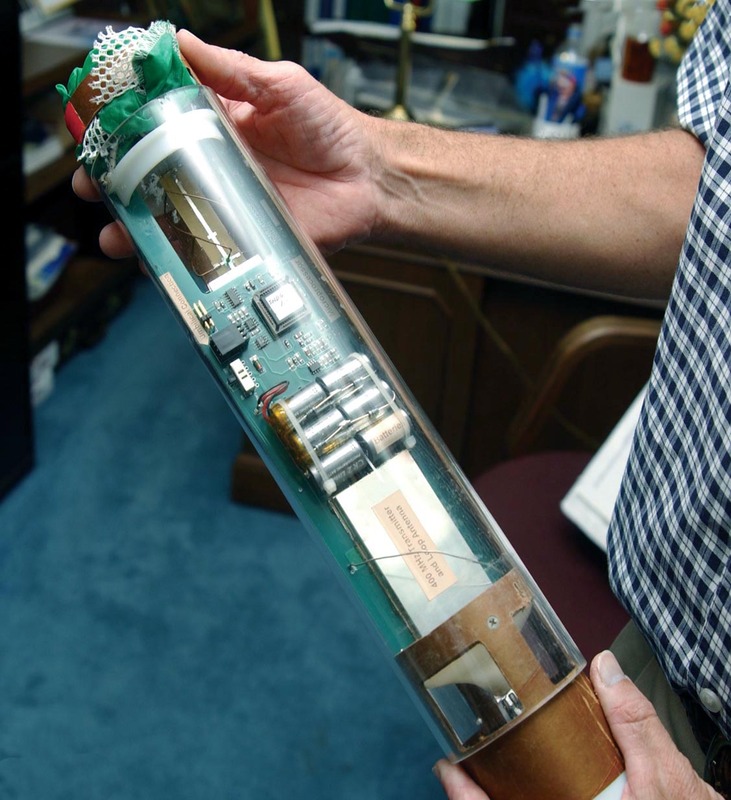 The driftsonde (drifting balloon and dropsonde release system) was developed jointly by CNES and the U.S. National Center for Atmospheric Research (NCAR). CNES was responsible for the balloon and NCAR for the dropsondes. * The Concordiasi programme was developed by an international science team currently supported by CNES, Meteo-France, IPEV, PNRA, CNRS/INSU, NSF, UCAR, the Concordia consortium, the University of Wyoming, Purdue University, the University of Colorado and ECMWF.